Rafael Nadal was curled up in a leather chair, fiddling with his tracksuit top, checking his mobile phone, screwing and unscrewing his water bottle top. He was inundated with suggestions that he was the fourth man in the men’s game, on the outside looking in as Roger Federer, Andy Murray and, yes, the world No 1, Novak Djokovic, prepared to share the London spoils. Suffice to say, he didn’t much like it. 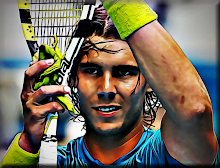 No one who is used to the acclaim that has been Nadal’s since he burst on to the scene with such abandon in 2003 relishes the notion that they may be an afterthought. It is a month since the Spaniard lost to Florian Mayer, of Germany, in the round of 16 of the Shanghai Masters, followed by a period of quiet and intense practice at home in Majorca. 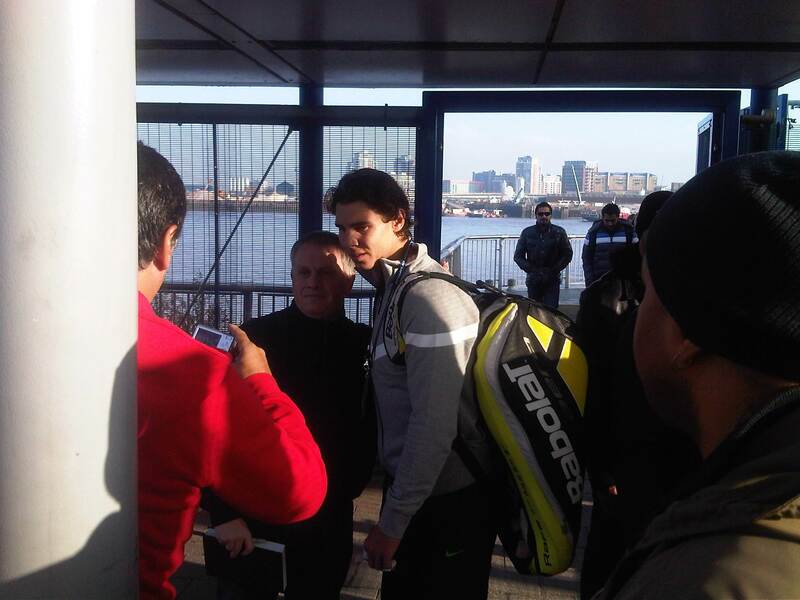 He arrives at the O2 arena for the Barclays ATP World Tour Finals undercooked in comparison to his rivals. Murray won the Shanghai event, Federer has claimed successive titles in Basle and the Paris Masters 1000 event last week and Djokovic has lost only four matches in the year, taking great chunks from Nadal’s morale in two grand-slam finals and four of the five Masters 1000 events that have littered his season of excess. A suggestion that he is more preoccupied with Djokovic than himself also brings a withering look. “All my life I worked for myself, to improve myself, that is my focus,” he said. “I am not working every day thinking about Novak, I am thinking about what I need to do to be a better player. I know it will be very difficult for [Djokovic] to repeat his level of tennis. He was asked if he thought he would be rusty, for which he required a translation. “You only have to wait one day and a half to find out,” he said. Nadal has not won this event, being the runner-up last year to Federer when he had been exhausted by the demands of defeating Murray in a semi-final that remains the best match played on the court at the O2. It is not as if he does not have something else on his mind, the small matter of a Davis Cup final the week after next for Spain against Argentina. “I do not have more motivation for one than the other, I have full motivation for this,” he said, defending as valiantly as ever. "I played very good matches in the Davis Cup semi-final and after that I felt I was in good form," the world number two said. "I went to Tokyo and I played a good tournament. In the last set against Andy I played bad but he played fantastic. It was hard. "The loss in Shanghai was difficult for me because I felt I was in a positive moment and I had an opportunity to play a good tournament and I had a bad loss against Mayer. "That hurt me a little bit and I felt I needed to stop, to practise a little bit and to recover physically and mentally."